Dr. Davie Wong obtained his Bachelor of Science and Doctor of Medicine degrees at the University of Manitoba, Canada. He then completed his Internal Medicine residency at the University of Manitoba before moving to Vancouver to complete his Infectious Diseases fellowship at the University of British Columbia, Canada. He served as chief resident for the infectious disease training program from 2015-2016. He is certified by and a fellow of the Royal College of Physicians and Surgeons of Canada in Internal Medicine and Infectious Diseases. He is fully licensed by the College of Physicians and Surgeons of British Columbia. He holds active membership in Doctors of British Columbia and the Canadian Medical Association, and had prior membership in the Association of Medical Microbiology and Infectious Diseases Canada (AMMI) and Infectious Diseases Society of America (IDSA). 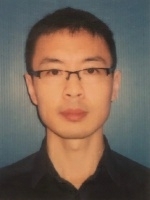 Dr. Wong is currently appointed as medical staff at Royal Columbian Hospital and Eagle Ridge Hospital. He works alongside other internal medicine specialists and subspecialists at the multidisciplinary clinic, Centrio Medical Specialists. He provides consultations in hospital and office-based settings, manages patients in the community outpatient parenteral antibiotic therapy program, and participates in an interdisciplinary team in the care of complex patients with HIV and/or hepatitis C infection.He is an active member of the regional antimicrobial stewardship committee. He is a Clinical Instructor in the Department of Medicine, Division of Infectious Diseases at the University of British Columbia and provides training to medical students, residents and fellows. He has published institutional guidelines on infectious diarrhea, and peer-reviewed journal articles on Staphylococcus aureus bacteremia and infective endocarditis. As part of the antimicrobial stewardship committee, he reviews and provides feedback on local guidelines and policies. 2012 – 1st place poster presentation for internal medicine resident research day. Identifying Candidates for Recombinant Human Thyroid Stimulating Hormone in Radioactive Iodine Ablation for Well Differentiated Thyroid Cancer. 1. Lowe C, Payne M, Puddicombe D, Mah A, Wong D, Kirkwood A, Hull M, Leung V. Antimicrobial stewardship for hospitalized patients with viral respiratory tract infections. 2. Wong D, Rubinshtein R, Keynan Y. Alternative cardiac imaging modalities to echocardiography for the diagnosis of infective endocarditis. Am J Cardiol. 2016;118(9):1410-1418. 3. Wong D, Wong T, Romney M, Leung V. Comparison of outcomes in patients with methicillin-susceptible Staphylococcus aureus (MSSA) bacteremia who are treated with β-lactam vs vancomycin empiric therapy: a retrospective cohort study. BMC Infectious Diseases 2016;16:224. 4. Wong D, Wong T, Romney M, Leung V. Comparative effectiveness of β-lactam versus vancomycin empiric therapy in patients with methicillin-susceptible Staphylococcus aureus (MSSA) bacteremia. Ann Clin Microbiol Antimicrob 2016;15:27. 5. Wong D, Keynan Y. Utilization of echocardiography in patients with Staphylococcus aureus bacteremia at two large Canadian hospitals. Infectious Diseases in Clinical Practice 2016;24(2):96-100. 6. Wong D, Carson J, Johnson A. Subacute Bacterial Endocarditis Caused by Cardiobacterium hominis - A Case Report. Can J Infect Dis Med Microbiol 2015;26(1):41-43. 7. Wong D, Keynan Y, Rubinstein E. Comparison between transthoracic and transesophageal echocardiography in screening for infective endocarditis in patients with Staphylococcus aureus bacteremia. Eur J Clin Microbiol Infect Dis 2014;33:2053-9. 8. Wong D, Aoki F, Rubinstein E. Bacteremia caused by Eggerthella lenta in an elderly man with a gastrointestinal malignancy - A case report. Can J Infect Dis Med Microbiol 2014;25(5):e85-86. 9. Olafson K., Ramsey CD, Kumar A, Stasiuk A, Ariano RE, Siddiqui F, Wong D, Guinn A, Braun J, Zarynchanski R. Sedation and Analgesia Usage in Severe Pandemic H1N1(2009) Infection: A Comparison to Respiratory Failure Secondary to Other Infectious Pneumonias. Ann Pharmacother 2012;46:9-20. 10. Poritsanos NJ, Lew P, Fischer J, Mobbs CV, Nagy JI, Wong D, Rüther U, Mizuno TM. Impaired hypothalamic Fto expression in response to fasting and glucose in obese mice. Nutr Diabetes 2011;1:e19. 11. Lew P, Wong D, Yamaguchi T, Leckstrom A, Schwartz J, Dodd JG, and Mizuno TM. Tail suspension increases energy expenditure independently of the melanocortin system in mice. Can J Physiol Pharmacol 2009;87:839-849. 12. Leckstrom A, Kim ER, Wong D, Mizuno TM. Xenin, a gastrointestinal peptide, regulates feeding independent of the melanocortin signaling pathway. Diabetes 2009;58:87-94. 13. Poritsanos NJ, Wong D, Vrontakis, ME, Mizuno TM. Regulation of hepatic PPARγ2 and lipogenic gene expression by melanocortin. Biochem Biophys Res Commun 2008;376:384-8.